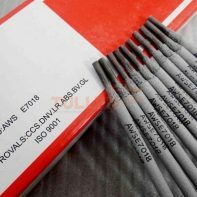 ERCuSi-A is used for welding of Silicon Bronze Copper or Aluminum Bronze of low aluminum content. It can also be used for brazing malleable iron and light gauge steel. ERCuSi-A Unibraze Silicon Bronze is a copper-based filler metal that contains 3% Silicon and trace amounts of manganese, tin, and zinc. It is used primarily for oxyacetylene welding of copper, copper-silicon, and copper-zinc metals to themselves and to steel. 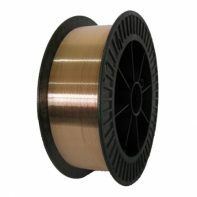 Unibraze Silicon Bronze is excellent for plain or galvanized steel sheet metal as well as other coated steels. 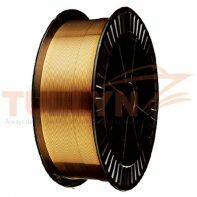 It is also used for surfacing areas that are subjected to corrosion. The Oxyacetylene gas flame should be slightly oxidizing. Keep the weld puddle small in order to promote fast solidification and minimize cracking. A high boric acid flux should be used both before and during welding. Preheat is NOT recommended. MIG / TIG and 500lb wooden spools products are available. Preheating copper – base alloys are frequently unnecessary provided section thicknesses are not unusually heavy.